It’s not every day you see a pumpkin rockin’ some cool stripes. You can now tell people you have a Porsche GT3. They won’t know it’s just carved on a pumpkin, anyway. Calling out all Mazda buffs out there, this one is for you. This Challenger is definitely killin’ it! The carving game is strong with this VW Golf R pumpkin. If you’re more of truck-person, then try this one is a must-try for you. You can never go wrong with a cute and unique Volkswagen pumpkin. This one may require a bit more elbow grease to make, but it’s guaranteed to be AWW-dorable. You can also carve out Lightning McQueen for the car-loving kids that will come trick-or-treating at your door. Of course, don’t forget the trusty tow truck, Mater. There you have it! 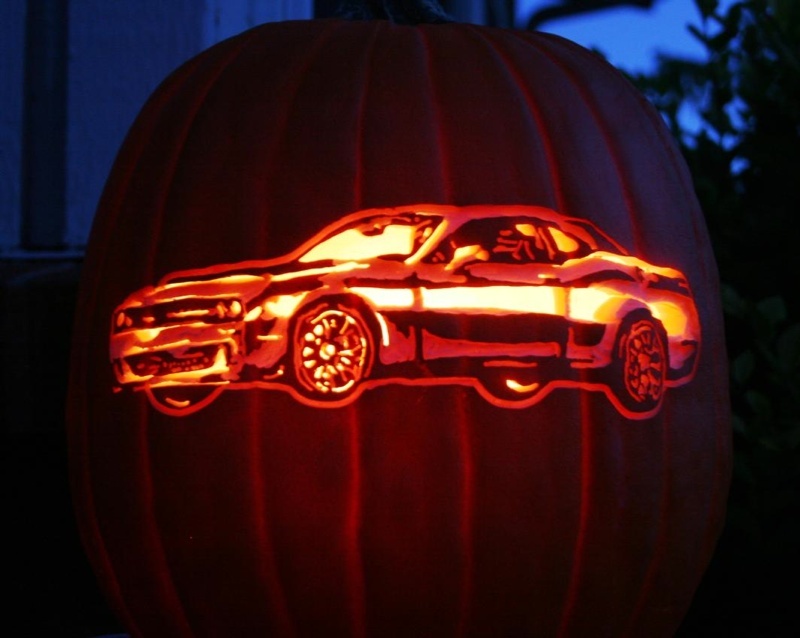 These are just some of the epic car-themed pumpkins that will surely give this Halloween season a twist. Got more creative ideas? Drop a comment below!